Last chance to sign up for CONVERGENCE! Deadline to register is 5:00pm ET, March 22. 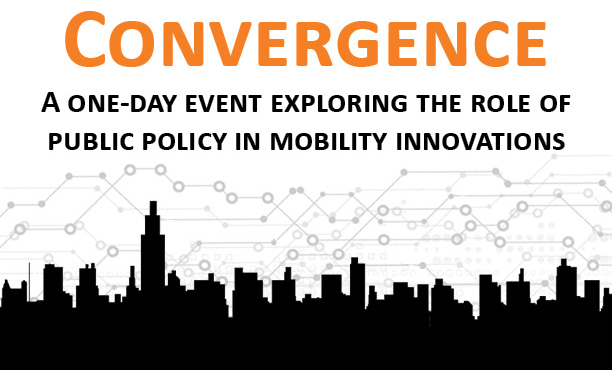 Join us for a day-long conversation exploring the critical role of public policy to both incentivize mobility innovation but also protect and maintain the public interest and safety. Come hear expert panelists, from both the public and private sector, discuss their successes and challenges in creating mutually beneficial partnerships to bring technological mobility innovation to their cities and regions.